Nothing brings a group of people together quite like singing. “Belong” celebrates this act, which is so important for many people. Choir is a safe place, for people to feel like they belong ~ young or old, rich or poor, GLBT. This incredible text by poet Marisha Chamberlain focuses on what “you” and “I” can do to create a sense of community, even if that very community is being challenged or facing hardship. The text to “Belong” was created specifically for this work, and commissioned by the Youth Chorale of Central Minnesota. The message is timeless, and focuses on what “you” and “I” can do to create a sense of community, even if that very community is being challenged or facing hardship. Musically, the melody of the refrain is the same in its first and second statements, yet in two different keys. The first refrain is based on the lydian mode in F, while the second refrain is based on the lydian mode in C. For the final refrain, I combined both phrases in their original modes, repeating the exact same pitches from both of the earlier statements. The result is a surprising yet beautiful harmonic progression on “Come, you belong with me” in m. 63. I wanted to reflect on the fact that these two different melodies (or ways of thinking) could be stated together. They can come together and work together, and create a wonderful new sound. It is my belief that this is what needs to be happening in the world as well. Effective solutions are built on compromise and the ability to find creative ways of resolving the issue. The result of which can be the most surprising and gorgeous harmony. In a nation increasingly, wonderfully diverse, the need to belong takes on a new poignancy. Humans are social creatures. We need to belong. Alfred Adler, Freud’s rebel disciple, tells us that the drive to belong is as essential to survival as any other drive, and may be the primary drive. The lyrics for this anthem were written expressly for young voices. As kids grow up, the challenge of finding friends and love becomes especially fierce. Kids must go forth and make new homes. This requires reaching out to others, and risking rejection. So much risk, so much trial and error. The quest to find a place to belong also requires the young person to decide what they believe. What does it mean to have something in common? On what basis will I belong? Hate binds people into belonging. But, very fortunately, so does love. Home is home no longer. Could I belong with you? Could I shelter and share bread with you? Could you belong with me? Would you shelter and share bread with me? Our country boils with anger. Life is short. But life, it matters. Come, you belong with me. We’ll shelter and share bread together. Jocelyn’s music ties so beautifully with the text, which for singers, makes her music a reward and a clear way to connect emotionally to the message. Her pieces are more than just singable lyric lines; they invoke a desire to connect to the audience and be a part of a bigger experience for everyone. Jocelyn’s music sings. It is crafty and crafted but never difficult; lyrical and poignant yet never saccharin. Her musical lines flow as poetry in sound, as she guides the listener from one delight to the next. 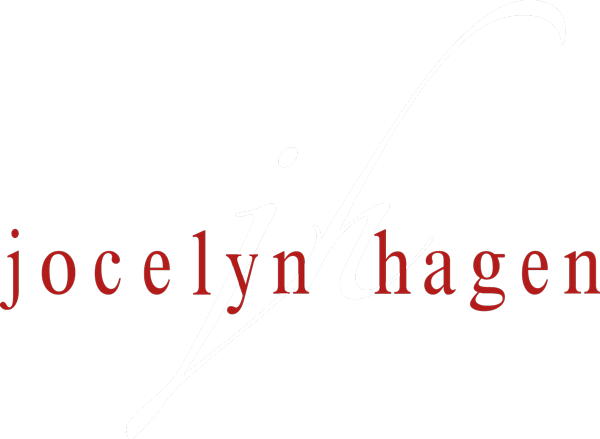 Jocelyn Hagen’s music celebrates the eternal spirit of the feminine, informed by soaring poetry and the indomitable courage of women. Her sense of place, time and the elements weave together a fabric of sound that inspires awe, joy, and the resilience so needed in today’s world.